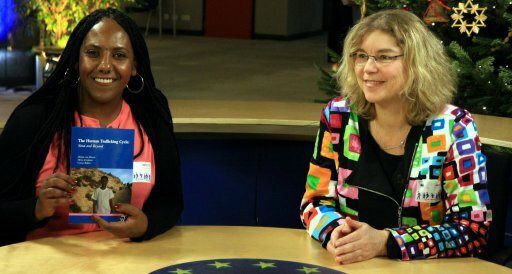 Two months and with the bodies still in Italy, waiting repatriation to Eritrea, Mussie Zerai, Meron Estefanos were in Brussels with Miryam Van Reisen, launching a book they authored about the very Eritreans who lay dead in Lampedusa, suffer in the Sinai and elsewhere at the hand of traffickers and criminal gangs. In New York, their partners at the International Commission for Eritrean Refugees, of which Reisen and Estefanos and Yonas Mehari and Yebio Woledemariam serve as Executives, attempted a similar launch was organized. The UN Interagency Framework Team for Preventive Action sent out invitations for a “brown bag lunch event on: “Regional Conflict and Human Trafficking in Sinai – International Launch of a Report” for Wednesday 4 December 2013. 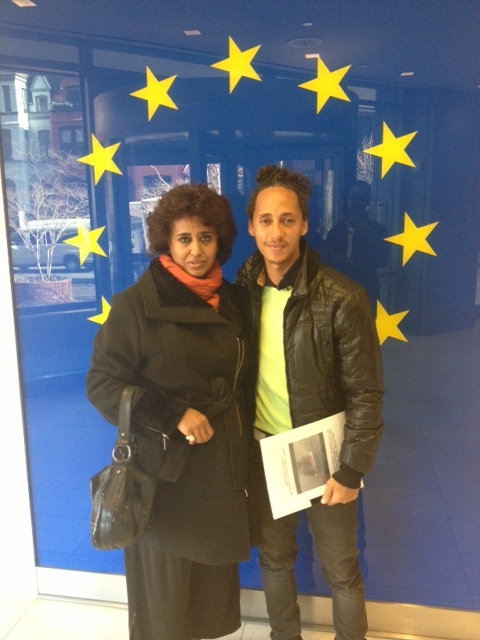 The event was being presented by Yebio Woldemariam of the International Commission on Eritrean Refugees (ICER), whose executives include Yonas Mehari, Meron Estefanos, and Mirjam van Reisen, founding Director of Europe External Policy Advisors (EEPA), “a research center of expertise on European Union external policy based in Brussels”. Quick intervention by Eritrean delegation in New York prevented the miscreants from using the UN to advance their political agendas against the State of Eritrea and disseminating their erroneous self serving book. It should be recalled that Van Reisen organized a similar event in Brussels to launch the book authored by her and Meron Estefanos. 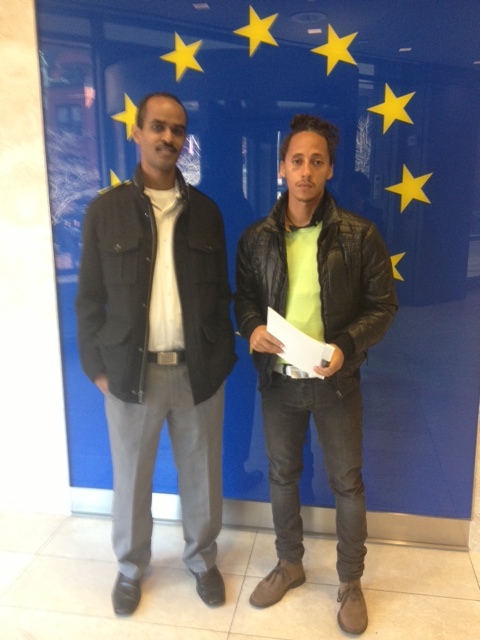 Whilst these miscreants were celebrating their books and toasting in Brussels, Eritrean Communities around the United States and Europe paid visits to Italian Embassies and Consulates to call on the Italian Government to shoulder its moral and legal obligations and to repatriate to Eritrea as soon as possible the remains of the Eritreans lost in that tragedy on 3 October 2013. The Italians, who have lived in Eritrea for over 100 years should know a thing or two about Eritrea’s culture of respect and how Eritreans mourn their dead. Whenever possible, they ought to be brought home for burial. 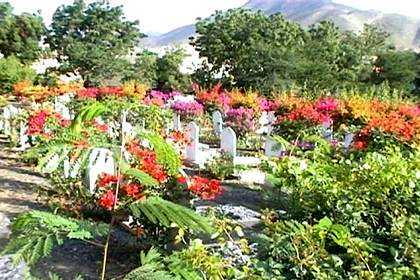 It is unacceptable to have Eritreans buried in temporary make shift graves. 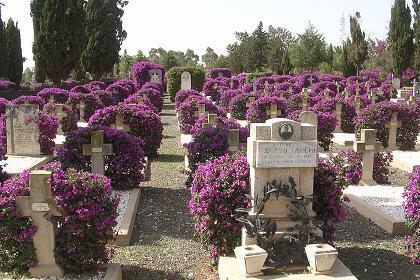 There are Italian cemeteries in Eritrea and they are well maintained and respected-the same should be accorded to Eritreans deceased in Italy. 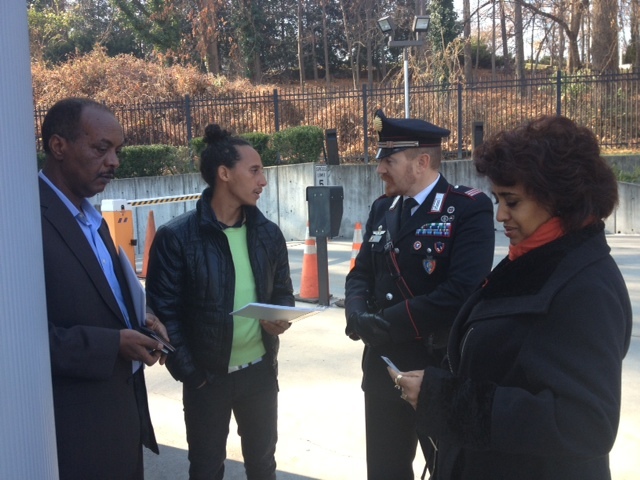 The Community representatives questioned the Italian Government’s reluctance to provide an adequate response to Eritrea’s repeated requests on how best to expedite the process of repatriation. 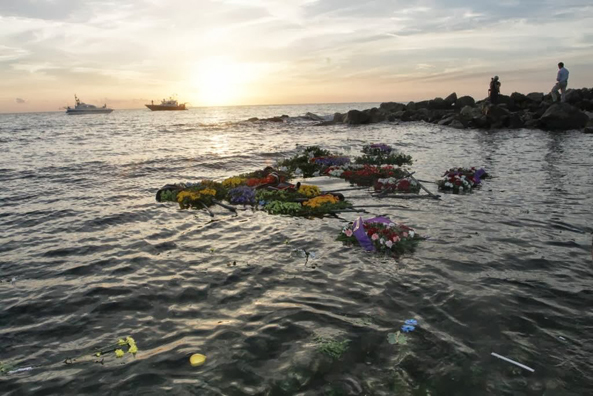 Some 140 bodies have been identified. But the Italian Government is saying that all families must do DNA tests. Would the process have been dragged this long had the victims been Europeans? 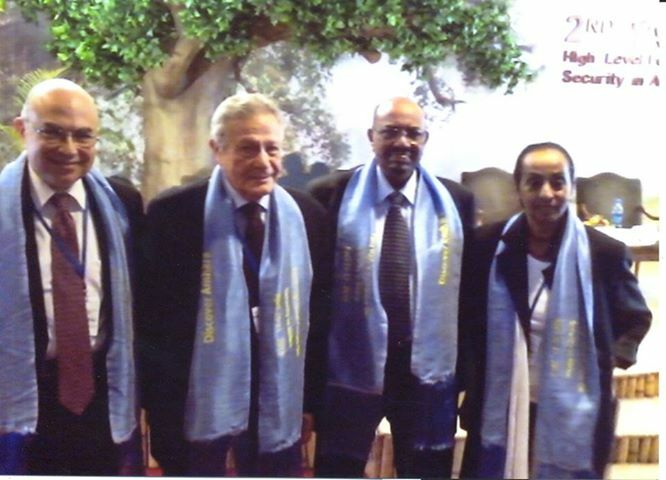 The members of the Eritrean Communities questioned the granting of “honorary Italian citizenship” to the deceased, while neglecting the well-being of the survivors. It is an insult to a people that fought and paid high sacrifices for their independence and freedom…and most of all, for their identity. The representatives raised other issues related to the Lampedusa incident and will continue to be raised in follow up meetings. The question on every Eritrean mind today is the role of Eritreans in the trafficking of Eritrea’s youth. In order to cover up their ugly tracks, the EQL is churning out reports in a futile and childish attempt to blame the Eritrean government. A few years back, when the Eritrean government decided to put into effect a deterrent-penalty of 50000 Nakfa to be paid by the families of youth that leaves the country illegally, the EQL and their sponsors were up in arms. They cried foul. But today, they are fleecing families in Eritrea and in the Diaspora with calls from Sinai and elsewhere to “rescue” their loved ones from Bedoiuns and other traffickers. Who are these Eritreans that have access to that ugly network? If they can write books, produce videos and elaborate radio programs, meet the traffickers, collect funds, make calls on their behalf etc. etc. –shouldn’t the UN take a closer look at their activities? Why is it reluctant to investigate the trafficking of Eritrea’s youth? Is it possible that it would have to investigate one of its own agencies-the UNHCR? Each of these personalities hailed in the western media as angels and rescuers of Eritrea’s refugees and asylum seekers has an organization that deals with Eritrean refugees-and all work closely with the minority regime in Ethiopia and UNHCR. All of them have worked to stop the repatriation of Eritreans to Eritrea. Why? It should be recalled that Meron Estefanos, Alganesh Ghandi and Mussie Zerai were on the ground in Lampedusa within days of the incident and so were the media. They falsely believed that they could do their “media blitzes”, write erroneous reports and come out smelling like roses. They didn’t. Today, the stench of the specter of their evil activities has filled the air and a million questions are being asked by all concerned. How is it that they (and their sponsors) were the only ones privy to the information about the fateful boat and its occupants? Estefanos was tweeting about a list of survivors within a few days. She is also on record tweeting about ransom payments and meetings with traffickers. Her Reporters San Frontiers (RSF) sponsored Radio Erena was the first to report of the incident. The orchestrated media campaign and flurry of related activities did not happen by coincidence…the whole sordid episode and its aftermath stink-of something ugly and inhuman. How is it that at the time when all Eritreans are euphoric and hopeful of the future, and at a time when Eritreans around the globe are celebrating their independence, conducting the international referendum and are returning home in the thousands, this man leaves Eritrea? The UN rapporteur on Eritrea wrote about “unaccompanied minors” in the Ethiopian refugee camps… did she ask them where they came from….Were these transferred from Egypt, Sinai and beyond? Or did they, as she audaciously claimed, “cross the Eritrea Ethiopia border to escape national service”? The western NGOs, media, and the UN Rapporteur on Eritrea have quoted UNHCR and Ethiopian officials making claims of thousands of Eritreans coming to the refugee camps in Ethiopia and that Ethiopia has had to build more camps. Where are these Eritreans coming from? Are Mussie Zerai, Alganesh Ghandi and UNHCR populating them with refugees from the Sinai, Sudan, Libya and elsewhere? And who is Alganesh Fesseha Ghandi? She is a virtual unknown in the Eritrean Diaspora Communities and for someone who is getting so much attention and coverage by Ethiopia, NGO community and western media, it behooves all Eritreans to find out who she is, and on whose behalf she conducts her work. All Eritreans can agree on that…the UN can help by conducting an investigation into her work in Ethiopia, as they seem to be the ones who are facilitating it along with Ethiopian officials. So what happened with that case and how come this “priest” and his cohorts are not raising this serious issue in their many blogs and reports? Wonder if the case is included in the book that Mirjam Van Reisen, Meron Estefanos, Yebio Woldemariam and Yonas Mehari were launching globally…or have they been co opted by their sponsors to drop the subject? 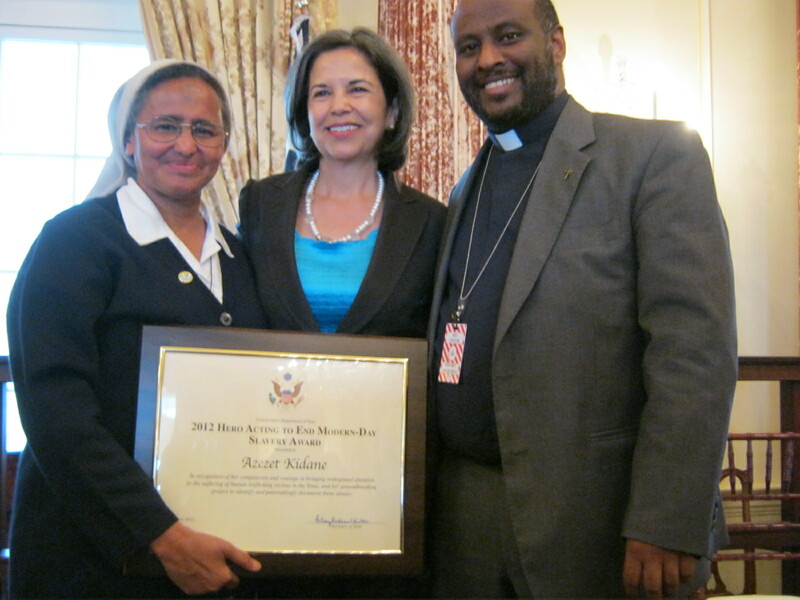 In June 2012, Eritreans were told that an Eritrean nun in Israel, who worked closely with Mussie Zerai, Meron Estefanos and Alganesh Ghandi, had been awarded by Hillary Clinton for her work with Eritreans refugees and asylum seekers. The question that remains in the minds and hearts of all Eritreans in the Diaspora is-If these persons who are so closely linked with the trafficking world know so much, enough to be awarded by the United States and European governments-How is it that an Eritrean nun gets the notice of the US State Department and the thousands of Eritrean Communities around the world knew nothing about her? Why is their “work” so secret? Who is funding their operations and why? And is it a coincidence that they are all anti-Eritrea operatives? Is that a pre-requisite for that kind of work? This entry was posted in Uncategorized and tagged Lampedusa, Mussie Zerai. Bookmark the permalink.